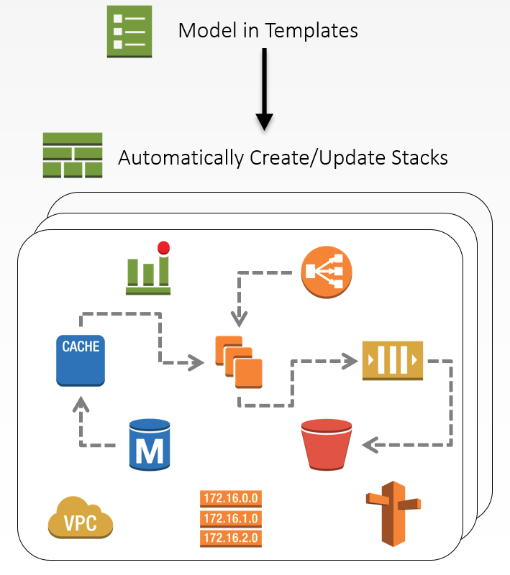 AWS CloudFormation simplifies provisioning and management on AWS. You can templatize the service and application architectures you want, and have CloudFormation use the templates for quick and reliable provisioning of the services or applications as ‘stacks’. You can also easily update or replicate the stacks as needed. Regardless of which option you use, you may need to access the application bootstrapping logs created on the EC2 instances. The logs are useful for debugging provisioning failures and as future reference. Earlier, for each instance you wanted to debug, you had to put a KeyPair on the instance at launch, and later, SSH into the instance to access the logs. With the advent of Amazon CloudWatch Logs, it is now possible to access the application bootstrapping logs (or any other logs from an EC2 instance) right inside the AWS Management Console. Here is a sample template which streams the application bootstrapping logs from a CloudFormation stack (cloud-init.log, cfn-init.log, cfn-hup.log, and cfn-wire.log files) to CloudWatch Logs. The logs can then be viewed inside the CloudWatch Logs Console, simplifying the debugging of provisioning failures. If you are creating the Log Group inside the stack that you are debugging (as this sample template does), then remember to disable the automatic rollback while kicking-off stack creation. This way, the logs are retained even when stack creation fails. Alternatively, you can create a Log Group separately and optionally use it for multiple stacks. You have the option to remotely store a common CloudWatch Logs configuration file and use it across multiple stacks. CloudWatch Logs is currently available in US East (Northern Virginia) Region. Try this now: sample template .